Research and development under this project was funded by peer-reviewed grants from the Canadian Institutes of Health Research (CIHR) and the Natural Sciences and Engineering Research Council (NSERC), and assisted by the generous support of Spatial View. Development was conducted by Dr. Long To under the co-supervision of J. Cooperstock (McGill ECE) and R. Hess (McGill Vision Research Lab). The technology was licensed to Amblyotech who are taking the system to commercial deployment with game developer partner Ubisoft, who created Dig Rush. the first therapeutic game for the product. The iPod binocular home-based treatment for amblyopia in adults: efficacy and compliance. Hess RF, Babu RJ, Clavagnier S, Black J, Bobier W, and Thompson B. Clin Exp Optom. 2014 Sep;97(5):389-98. The measurement and treatment of suppression in amblyopia. Black, J. M.; Hess, R. F.; Cooperstock, J. R.; To, L.; and Thompson, B. Visualized Experiments, 14(70). 2012. An iPod treatment for amblyopia: An updated binocular approach. Hess, R. F.; Thompson, B.; Black, J. M.; Maehara, G.; Zhang, P.; Bobier, W. R.; To, L.; and Cooperstock, J. R. Optometry, 83(2):87-94. February 2012. 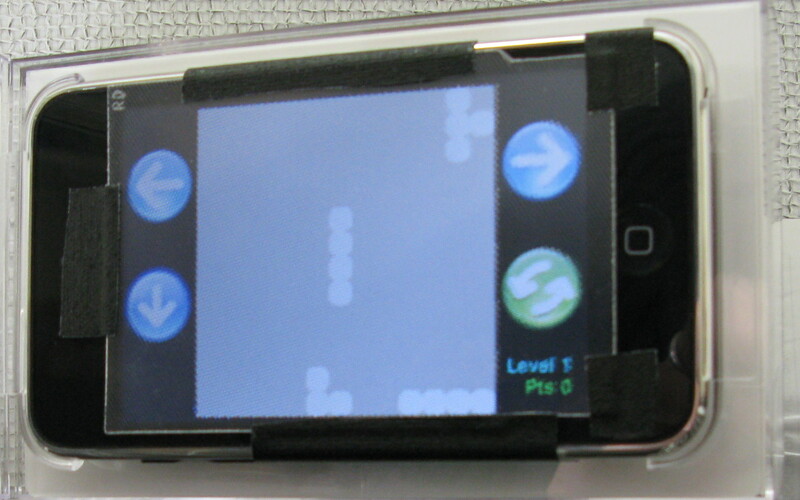 A game platform for treatment of amblyopia. To, L.; Thompson, B.; Blum, J.; Maehara, G.; Hess, R.; and Cooperstock, J. R. IEEE Transactions on Neural Systems and Rehabilitation Engineering, 19(3):280-289. June 2011. In addition, our prototype based on a head-mounted display (HMD) is being used by other research groups, including Glasgow Caledonian University, to explore this treatment-via-gaming approach. Further details are available from the Investigative Ophthalmology & Visual Science publication, "An Exploratory Study: Prolonged Periods of Binocular Stimulation Can Provide an Effective Treatment for Childhood Amblyopia". generally diagnosed in childhood and treated by patching the "good eye"
currently integrating a head-tracking feature using front-facing camera to prevent the patient from "cheating"
Amblyopia is a visual disorder in which information from the good (fellow) eye dominate and suppress the information from the amblyopic eye. An amblyopic person only sees a monocular view of the environment, often without the depth information, which can lead to perceptual problems. Amblyopia is caused by abnormal development in the visual cortex, and may be present even when there is no physical defect at the amblyopic eye. Unlike myopia, it cannot be corrected by an optical lens. We have developed a prototype device for take-home use that can be used in the treatment of amblyopia. The therapeutic scenario we envision involves patients first visiting a clinic, where their vision parameters are assessed and suitable parameters are determined for therapy. Patients then proceed with the actual therapeutic treatment on their own, using our device, which consists of an Apple iPod Touch running a specially modified game application. Our rationale for choosing to develop the prototype around a game stems from multiple requirements that such an application satisfies. First, system operation must be sufficiently straightforward that ease-of-use is not an obstacle. Second, the application itself should be compelling and motivate use more so than a traditional therapeutic task if it is to be used regularly outside of the clinic. This is particularly relevant for children, as compliance is a major issue for current treatments of childhood amblyopia. However, despite the traditional opinion that treatment of amblyopia is only effective in children, our initial results add to the growing body of evidence that improvements in visual function can be achieved in adults with amblyopia. 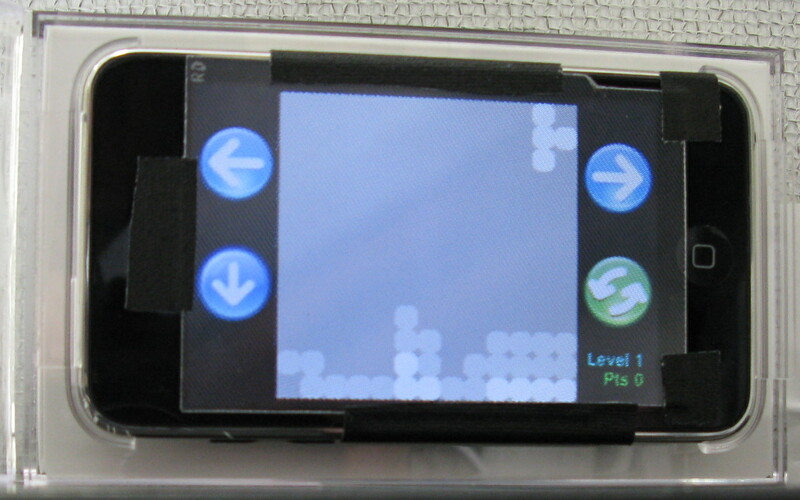 The images below are taken of our current prototype device. 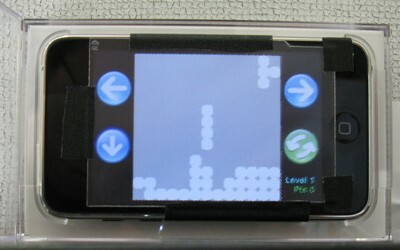 Fellow eye view: Static tetris blocks at the bottom of the gameboard are visible to the strong eye, where the more relevant blocks (i.e. top rows) are in low contrast. 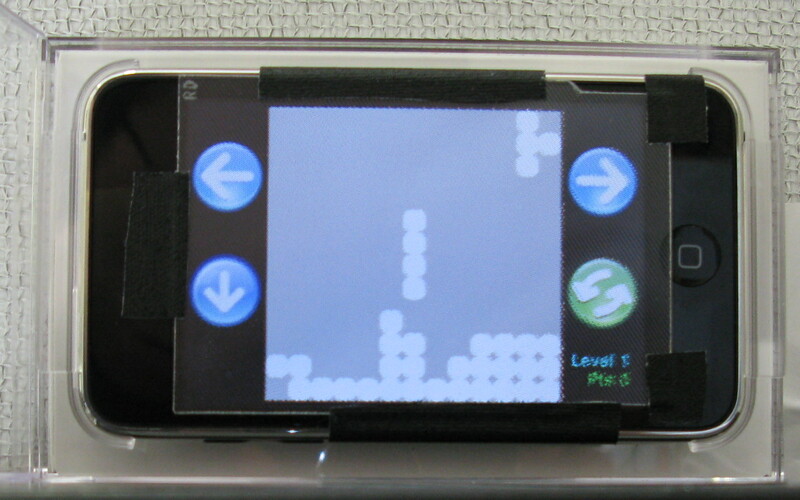 Amblyopic eye view: The falling tetris is only visible to the weaker eye, which also sees some blocks at the bottom of the gameboard. All the information sent to the amblyopic eye is in high contrast. An ordinary game of tetris: All blocks are visible to both eyes at the same contrast. Results of the training procedure for amblyopic participants. 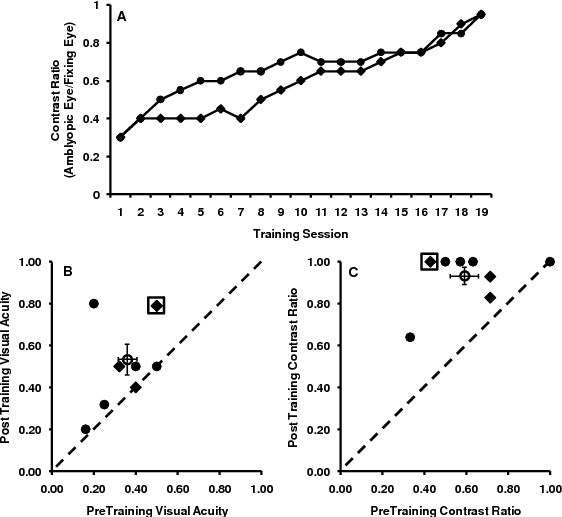 Panel A shows the improvement in the required contrast ratio between the two eyes (amblyopic eye contrast / fellow eye contrast) as a function of training session for two example participants; OH (circles) and VT (diamonds). A contrast ratio of unity indicates that no contrast imbalance between the eyes was required. Panel B shows group data for the required contrast ratio between the two eyes before and after training. Data points above the dashed unity line indicate improved binocular combination. The hollow circle indicates the group mean and error bars indicate +/-1 SEM. Circular markers indicate that participants were trained using game strategy 1 and diamond markers indicate game strategy 2. A square outline signifies two overlapping data points. Panel C shows group data for amblyopic eye visual acuity before and after training. Marker designations are the same as in panel B. Note that our system is not yet commercially available as there are still several steps ahead before it reaches that stage. However, we are hoping to move quickly in this direction. If you'd like to be kept informed of updates regarding our work, or information about any upcoming trials, please submit your name and email address below.